Stand on the shoulders of giants with the exceptional gridiron greatness Shinola Detroit® Runwell watch. Polished PVD rose gold case. Adjustable dark oxblood football leather strap. Super-LumiNova™ two-hand analog display with Argonite 1069.2 quartz movement, and sub-dial. Polished PVD rose gold top ring. 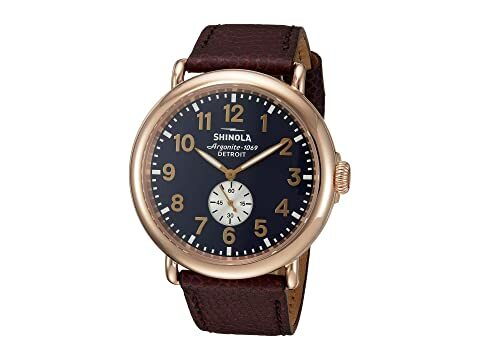 We can't currently find any similar items for the The Runwell 47mm - 10000168 by Shinola Detroit. Sorry!